Not sure what you’re looking for? Use our Style Wizard to find your perfect wheel style . XD Series wheels by KMC are for those without limits. For the ones who thrive on the dirt and chaos of off-road racing. Built for the those who need precise equipment for an imprecise environment. Lightweight, strong, and race-tested, these wheels are always ready to take on the next challenge. KMC has been redefining performance on and off the asphalt since 1995. With innovative styles and a relentless pursuit to confront possibility, KMC Wheels are designed for the rule breaking, game-changing individuals who defy conventional thinking in motorsports and use machines to pull off the impossible. We pride ourselves on our evolutionary products and a team of athletes who are the best at what they do. Moto Metal is loud and ultimately it stands united to defend its persona of eclectic rebellion in the face of society. Not for the mainstream...for the wild. Moto Metal wheels are the ultimate symbol of a culture of unapologetic individuals. Est. 2003 In Miami, American Force has risen from humble beginnings to become the certified leader in forged wheels for Trucks, Jeeps, and SUV’s.  We have remained at the forefront of the industry for well over a decade, innovating new products and setting trends for the market to follow. The success of our business is built on one singular goal and philosophy – to deliver the absolute highest quality custom forged wheels money can buy. Asanti was built on the principle that technology, precision and intrepid design goes into every product we create. From our facility in Southern California we design, engineer and manufacture wheels with a passion to make them the ultimate compliment to your vehicle.  With countless professional racing partnerships and leading styles for the aftermarket tuner and performance markets, Motegi Racing products are fueled by innovation and inspired by the best racers in the world. Excellent value in a diverse product line, with fitments suitable for passenger cars, light trucks and SUVs. With custom street looks and clean styling in a range of finishes, Helo Wheels deliver the look and style you are looking for at a great value. American Racing - maker of some of the toughest off-road wheels available – introduces its heavy truck collection of big rig wheel fitments. Built for the long haul, these wheels are designed with high performance strength to weight ratios and cutting edge aesthetics not found in your usual “over the road” wheel brands. They make a statement, they are engineered for the long haul. When Original Equipment isn’t enough. OE Creations offers clean styles and fitments to suit a wide range of applications.